If given the choice would you rather be the all-time career scoring leader for your high school’s soccer team or score the game-winning goal late in a match against your cross-town rival? One showcases the player’s entire body of work over the course of several years, while the other is a select moment of greatness. Joslin Lindsay, however, didn’t have to choose. She actually accomplished both at the exact same moment. Joslin Lindsay, a member of the Black Hills High School girls soccer team, scored the game winning goal against Tumwater. The goal also catapulted her into the record books as the leading scorer in Black Hills history. Lindsay, a senior at Black Hills High School, became the Wolves’ all-time career scoring leader in girls soccer on October 13 when she found the back of the net in the 80th minute in a 2-1 victory over Tumwater. It was the 67th career goal for Lindsay, surpassing the 66 goals Melissa Norton scored for Black Hills between 1999 and 2003. As it turned out, Norton was well aware her benchmark was on the verge of falling after 12 years and even sent Lindsay some encouragement via a Facebook video prior to the match against the Thunderbirds. When she finally was able to login, Lindsay received a motivational pep talk from the former Black Hills superstar, showing her support in breaking the record and continuing to build on the Wolves tradition. Black Hills trailed early against Tumwater in the record-setting match. A goal by Isabella Foos put the T-Birds up early before the Wolves tied things up on Jaylen Corbin’s score midway through the first half. The match remained 1-1 until the closing moments when Lindsay found the back of the net, giving her the record and the game-winning score. 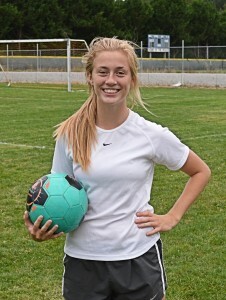 Lindsay, last year’s Evergreen Conference offensive player of the year, has nine goals this season. The Wolves look to advance to the Class 2A state playoffs for a third consecutive year. During her junior season, Lindsay scored a gaudy 32 goals – the second highest single-season total in program history, trailing the 35 goals Megan Waunch netted in 2003. 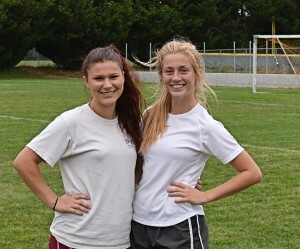 The 32 goals led the state and placed Lindsay 39th national in goals scored for the year, according to Maxpreps.com. Black Hills seniors Jaylen Corbin (left) and Joslin Lindsay (right) are helping lead the Wolves through team unity and a focus on working together. 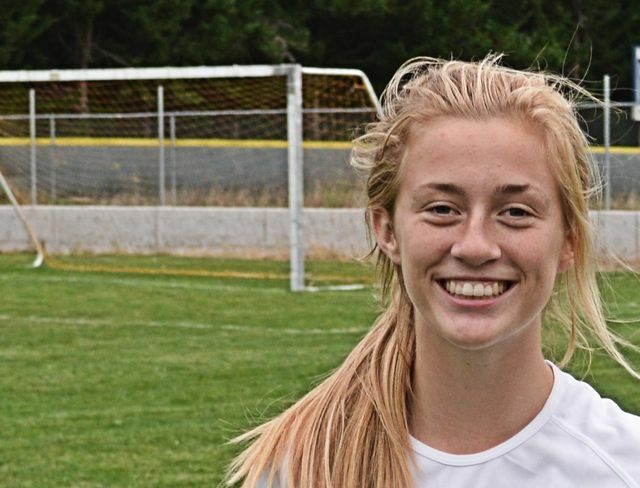 Lindsay, who scored 10 goals as a freshman and 16 as a sophomore, opened up last year’s campaign with back-to-back hat tricks, scoring three times against North Thurston and four times against Yelm to kick off her stellar season. She would add seven more multiple-goal games during the year, including a season-high five goals in a 7-1 victory over Centralia, which equaled Kathleen McGee’s school record for goals in a game. The Wolves opened this year with two victories before suffering through a five-game skid. They dropped close matches to a pair of 2A state participants from last year in Burlington-Edison (3-2) and North Kitsap (2-1) and lost 2-1 to Columbia River, a 3A state quarterfinalist from last season before going on a six-game winning streak to gain the inside track to the 2A Evergreen Conference title.